Following the success of 2015’s inaugural Guernsey International Food Festival, the foodie’s paradise is back this September with more exciting culinary indulgences. This festival, taking place from Sept. 23 – Oct. 2, 2016, is a celebration of the island’s rich local produce and gastronomic heritage while paying homage to influences from the international stage. Jean-Christophe Novelli is the celebrity ambassador, leading events across the island from farmers’ markets to cook-offs, culinary master classes, chef residencies and wine tastings. Two of Guernsey’s finest hotels, The Duke of Richmond Hotel and The Old Government House Hotel & Spa, Guernsey’s only five-star property, will be participating by showcasing the island’s bounty of gourmet food and varied hospitality. Saturday, September 24 and Sunday, September 25 from 12:00 p.m. – 2:00 p.m.
Head Chef Kanthi Kiran Thamma of Brighton’s Curry Leaf Café hosts a master class lunch in The Old Government House’s Curry Room featuring classic dishes from Kerala and Southern India. While preparing the dishes, Chef Kanthi will answer general questions about Indian cuisine and describe how to re-create similar entrées at home. A three-course lunch serves as the finale, complete with a carefully selected wine pairing. Saturday, September 24 at 7:00 p.m.
Channel Islands Chef of the Year 2016, Simon McKenzie of The Old Government House Hotel & Spa, prepares a gala dinner featuring the best of seasonal game meats. Each dish is perfectly paired with an award-winning sparkling English wine from the Ridgeview Estate, craft spirits from Blackdown Artisan Spirits (both hailing from Sussex), and fine wine from local wine merchant Bucktrouts. Tuesday, September 27 at 7:00 p.m.
Five producers, five chefs, five dishes. The festival’s most creative dining experience, randomly matching kitchen and production talent for a never-to-be-repeated gourmet meal at The Duke of Richmond. The Cliff at Cap Restaurant is one of the most highly sought-after restaurants in St. Lucia, recently hailed by the New York Times as one of the best restaurants on the island. In one of the Caribbean’s most dramatic settings overlooking the surging Caribbean Sea, the restaurant is under the direction of Executive Chef Craig Jones. His nouveau French West Indian menu elegantly presents the bounty of St. Lucia’s fresh local produce and seafood readily sourced on this tropical island. Chef Craig takes over the kitchens of Chef Simon at The Old Government House Hotel for one night only, treating guests to a mouth-watering three-course dinner with accompanying wine, including some of his Caribbean favorites such as poached lobster ravioli, pan-fried kobe with caramelized plantain and an island-spiced doughnut. This Chef Exchange is part of a reciprocal agreement where UK chefs swapping kitchens with international chefs across the globe. Old Government House’s Chef Simon will be flying over to St. Lucia for a Taste of Guernsey weekend, taking place on the Caribbean Island in February 2017. The Guernsey International Food Festival is preceded by Guernsey Cocktail Week from September 16 – 24, 2016. Various venues across the island, including The Old Government House Hotel and The Duke of Richmond, will produce special signature cocktails based entirely on local produce. The Old Government House Hotel & Spa is located in the heart of St. Peter Port and offers the finest in five-star luxury. Five minutes’ walk from the picturesque quayside, this hotel is perfectly placed to explore the island and provides guests with a ‘home away from home’ boasting fine dining facilities, the stylish Crown Club , an outdoor heated swimming pool and luxurious Spa and fitness center. Just up the road is The Duke of Richmond Hotel which offers unparalleled service in peaceful surroundings. Overlooking a quiet park, this elegant property is home to the relaxing Leopard Bar and Restaurant where guests can sit back and enjoy a range of cocktails and expertly prepared dishes, a chic monochrome Residents’ Lounge and an outdoor heated swimming pool complete with sun loungers perfect for glorious Guernsey summer days. Room rates at The Old Government House Hotel & Spa during the festival start at $260 per room, per night, including full English breakfast, based on two people sharing. Room rates at The Duke of Richmond Hotel during the festival start at $199 per room, per night, including full English breakfast, based on two people sharing. The Old Government House Hotel & Spa at +44 1481 724921 or email reservations@theoghhotel.com. Visit online at www.theoghhotel.com. The Duke of Richmond Hotel at +44 1481 726221 or email reservations@dukeofrichmond.com. Visit online at dukeofrichmond.com. 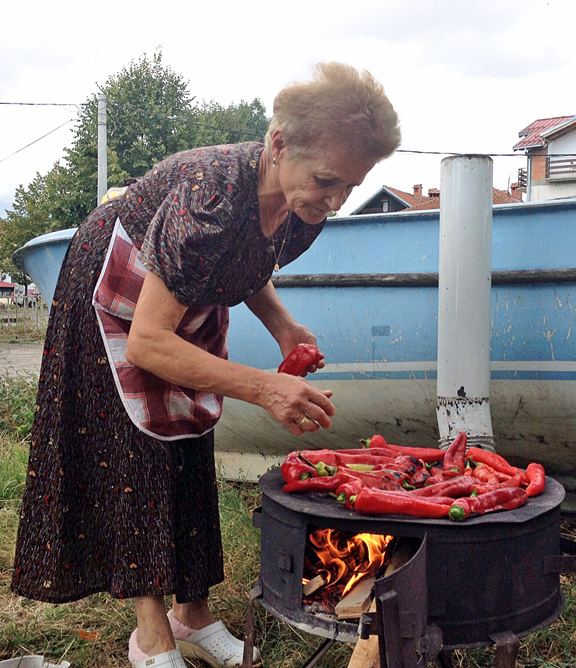 Macedonia Experience (www.macedoniaexperience.com) introduces “Culinary Experience,” a 10 day/9 night sampler with hands-on demonstrations of traditional Macedonian cuisine. SKOPJE, REPUBLIC OF MACEDONIA – Sitting due north of Greece and near Turkey is Macedonia, a yet-to-be-discovered country just beginning to pop up on the culinary radar thanks to cheese, wine and wild game. 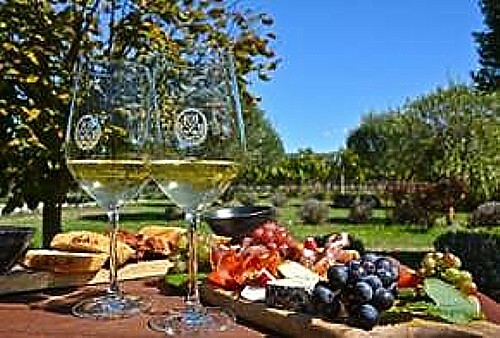 Macedonia Experience (www.macedoniaexperience.com) introduces “Culinary Experience,” a 10 day/9 night sampler with hands-on demonstrations of traditional Macedonian cuisine combining Balkan and Mediterranean characteristics of fresh fruits and veggies, mountain-grown herbs and local wines. Toss in Turkish tastes that prevailed during long centuries of Ottoman rule, a few wild game dishes and gustatory senses will be overjoyed. This pepper-spiked adventure includes accommodations (guests select the class of hotel they desire); all transfers, tours and activities; ingredients for the preparation of dishes; guidance and tutorials for preparation of the dishes in a traditional setting; and the services of a tour guide. This tour is offered year-round for a minimum of two people or a maximum of 12. An average tour cost for guests booking medium-priced hotels throughout the journey starts at €2000 per person, double based on four participants. Guests transfer from Skopje Airport to their hotel in the historic town of Skopje, inhabited since 4000 BC. Here the culinary games begin. Lunch is in a restaurant built in a traditional style with live Macedonian music surrounded by the mystery of the Old Bazaar where wines and spirits (mainly rakija, a typical Macedonian spirit made by distillation of fermented fruits) and cheese are served in bars and eateries. The next day a pre-breakfast visit to a pazar (typical market) introduces foods and spices before a traditional breakfast of pastry with chorba (a minestrone-type soup). Guests learn how to prepare makalo (gravy), pot cheese and proja (preparation of cornmeal into a type of bread). Later comes a wine and cheese tasting before dinner at a winery near Skopje. Days 3, 4 and 5 bring guests to Mavrovo National Park to sample wild game specialties, an exploration of Ohrid, a UNESCO World Heritage site, and a market tour to purchase ingredients to prepare selsko meso (Macedonian and Balkan pork and mushroom dish) and pastrmajlija (Macedonian bread pie made from dough and meat). Embroideries, musical instruments and objects made of clay are also available in the markets. A visit to a handmade paper workshop (one of only seven in the world where the paper is made in the original Chinese way from the 2nd century BC.) shows how this paper was used on Gutenberg’s original printing press from the 15th century. The equipment and clothing here are 100% authentic. Days 6 and 7 continue with tours and tastings in Bitola and Krusevo, distinguished as the highest town in the Balkans. Guests learn how to make lokum (traditional sweets) before sampling region-wide famous Krusevo sausage and kebab. Next come Krusevo pies filled with cheese, leeks, cabbage and spinach. An enologist meets the tour in the Tikvesh wine region before visiting the ancient ruins of Stobi and passing on to Berovo, a small town near the Maleševo Mountains where nature combines with the history of the Ottoman Empire. Guests prepare their own dinner here. At Berovo Lake guests mingle with locals who share their customs through handicrafts, musical instruments, songs and dances preserved for centuries. Guests dine in a traditional sheepfold on ingredients sourced locally before departing the next day. For more information and reservations contact the North America representative office: 866-748-8867, or by email: northamerica@macedoniaexperience.com. 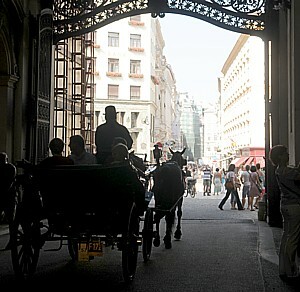 Vienna– Context, organizer of critically acclaimed walking tours, expands its program in Vienna, with Tasting Tradition: An Appetite for Austria, a new gastronomic experience that uncovers Austria through a multicourse annotated meal. The influence of the Austro-Hungarian Empire continues to have an impact on local cultures, including contemporary Austrian cuisine. At the same time, regionality is heavily reflected in the country’s culinary traditions, and continues to shape its cuisine today. This three-hour annotated meal tells the rich story of Austria past, present and future, offering a menu of foods from the nine federal states, each of which have their own unique terroir and cuisine. Led by a scholar of food anthropology, the experience takes place in an exceptional restaurant in the vibrant capital. Tasting Tradition: An Appetite for Austria comprises five courses with optional wine pairings. Choices include goulash, different types of dumpling, the world-famous Wiener Schnitzel (veal), as well as pork roast, pan-fried carp, pasta, poppy-seed specialties, and seasonal dishes based on apricots and asparagus, chestnuts, chanterelle, game and pumpkin. The experience also offers the opportunity to sample some cold cuts, regional cheeses, and of course drinks and dessert – including the legendary Kaiserschmarrn. The dinner sets the scene for discussions about Austria’s eating habits, Vienna’s burgeoning streetfood scene, issues around produce procurement and availability, as well as food trends, from Asian fusion and fifties Americana to organic and vegan to burgers and cupcakes. Breaking bread together, participants learn about how tradition and modernity have collided to create an exciting and truly multicultural food culture. Tasting Tradition: An Appetite for Austria lasts 3.5 hours (including 30 minutes transport time) and is available Tuesday to Saturday at 6 pm (excluding December 22, 2014 to January 2, 2015). Group walks cost €75 per person. Private tours cost €330 per party. Tasting fee is €65 per adult and €55 per child up to age 16. As with all Context walking seminars, groups are led by a credentialed expert and limited to six (6) people maximum. 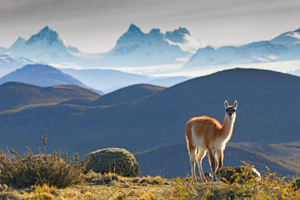 Explorateur Journeys has launched Chef On Wheels, a trip infused with special experiences of Uruguayan gastronomy, interactions with local chefs, instruction on traditional dishes blended with an active cycling adventure that gets travelers up close and personal with quaint villages and a traditional slice of life. The journey begins with insider access to a special winery, where guests can bike trough the charming town of Carmelo, tasting along the way and stopping for a home cooked Uruguayan asado. They’ll enjoy dinner one evening with a celebrated local chef who will prepare a “secret menu” for them based on the “La Cuisine Secret” invitation-only nomadic dining concept that’s become popular with local foodies. As travelers move on through the country, they’ll shop in a fresh farmers market with a local chef and try their hands at local secret recipes that the chefs will dispel in a gorgeous kitchen, paired with a string of exclusive cocktails. Back in Montevideo, time will be spent cycling along the beach and into small towns, with access to special art exhibitions along the way and more home cooking in a cozy chef’s kitchen. The journey rounds out with a cycling and canoeing adventure at the Garzon lagoon, where a boat crossing brings guests to a hidden “Lagoon Shack”, where a local chef prepares lunch and provides an opportunity to mix and mingle with village children who attend special cooking classes designed to help educate the local community. For more information, visit www.explorateurjourneys.com, email info@explorateurjourneys.com, @theexplorateur, facebook.com/theexplorateur. Four Seasons Bali is the only resort on the island to feature its own stand-alone cooking school. Delicious local food is one of Bali’s most famous attractions and now visitors can take home the authentic flavors of Indonesian cuisine, thanks to a new Jimbaran Bay Cooking Academy which has opened at the Four Seasons Bali at Jimbaran Bay. 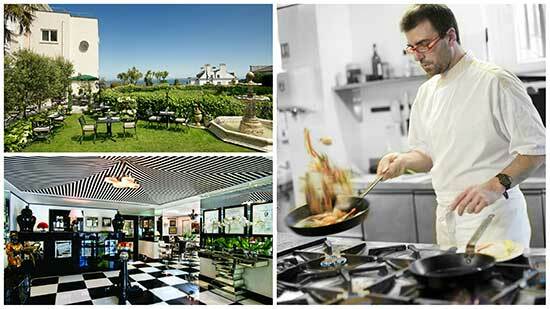 “Four Seasons is the only resort on the island to feature its own stand-alone cooking school. We wanted to go beyond offering casual lessons in the kitchen to providing a full professional-quality training facility. Our classes are designed for novice and experienced cooks alike – creating a focused learning environment for a maximum of 10 students per session,” says Michael Branham, General Manager. Set in its own building, the Jimbaran Bay Cooking Academy features a charming stone-paved courtyard and herb garden at its entrance. Enormous glass doors lead into the air-conditioned kitchen, equipped with gleaming state-of-the-art appliances and a large, kidney-shaped, black granite preparation unit with induction hot plates. Students can sample their creations at the communal dining table or outdoors in the shaded courtyard. All graduates receive an official certificate of achievement, as well as copies of the recipes in a beautiful hand-drawn booklet. 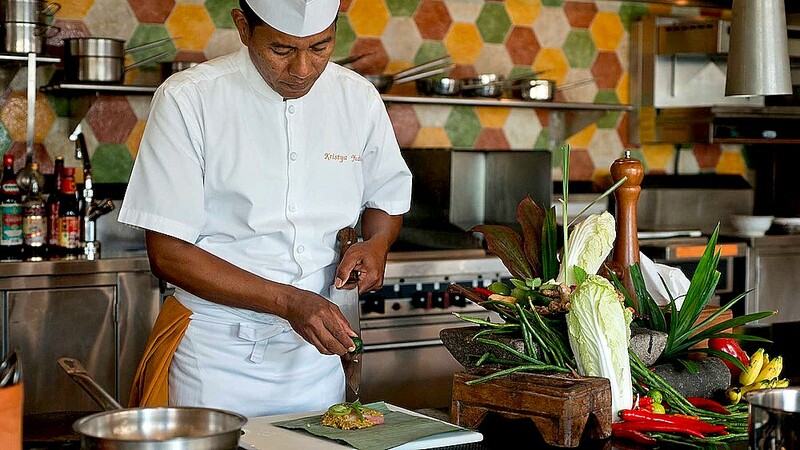 The Jimbaran Bay Cooking Academy provides a hands-on opportunity to learn about the secret techniques and distinctive ingredients of Indonesian cuisine. Recipes are sourced from the resort’s team of Four Seasons chefs who come from various regions across Indonesia, including Bali, Sulawesi and Sumatra. All classes are taught in English only. Classes are led by Chef Anak Agung Kristya Yudha, a Balinese native who has been preparing delicious meals for Four Seasons guests for more than 20 years. Caring and passionate with a charming sense of humor, Kristya enjoys engaging with students and sharing his knowledge of Indonesian cuisine and culture. In each half-day session, students learn to prepare a full five-course meal according to traditional menus representing Bali, Java, Nusa Tenggara, Sulawesi and Sumatra. Highlight dishes include: “Sate rembiga” (traditional beef satay skewer with spicy sauce) from the Nusa Tenggara region; “Bebek betutu”(roasted duck with wrapped in banana leaf) from Bali; and a dessert of “Es doger” (young coconut, tapioca pearls and cassava with sweet milk) from Java. As part of the day, students can visit the Jimbaran Fish Market – about 10 minutes from Four Seasons – to see how locals shop for the freshest seafood. Students can also pick indigenous ingredients from the academy’s herb and spice garden that grows Thai lemon basil, tamarind, pandan leaf, ginger and garlic. After an optional market tour at 8 a.m., students gather in the kitchen at 9:30 a.m. to create an authentic Indonesian meal. There are six regional menus (including two different Bali menus), rotating on a daily basis, seven days per week. Special pricing is available when booking multiple sessions, starting at IDR 900,000++ per class. Classes are open to a maximum of 10 participants. Non-resort guests are welcome to attend with advance reservation. Four Seasons Resort Bali at Jimbaran Bay sits along Bali’s southern coast in 35 acres of oceanfront gardens. Accommodations include 147 villas and nine grand-scale residence villas that can accommodate up to 10 in palatial 11,000 – 24,000-square-foot spaces with 24-hour butler service. Memorable dining options include four restaurants and lounges featuring Indonesian, Thai and global cuisine, in-villa and in-residence dining and specialty meals accompanied by traditional Balinese dance. Cooking classes offer novice to expert instruction in Balinese, Indonesian and Asian dishes as well as the culinary secrets of pastry. The oceanfront Spa features an array of treatments that demonstrate the curative powers of water, including Balinese ayurvedic wellness and healing rituals, along with massages and yoga sessions offered in thatched open-air oceanside gazebos. Follow Four Seasons Resort Bali at Jimbaran Bay on Facebook, Twitter, and Pinterest.